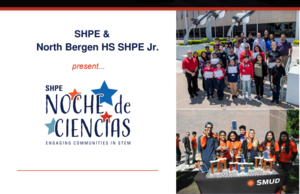 Noche De Ciencias Event: NBHS SHPE Jr. Chapter will be hosting on April 6th from 6-9 pm at the High School Gym. Click the title for more information. 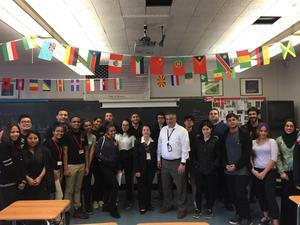 NBHS Welcomes Mrs. Lois De Julio Esq. 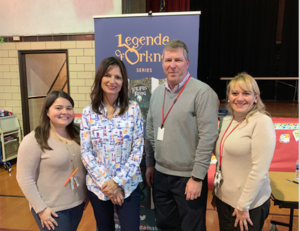 The Social Studies Department's Junior State of America and the Young Leaders Club recently welcomed Mrs. Lois De Julio Esq. to North Bergen High School. Click the title for more information. Thanks to our first grade teacher, Crystal Rodriguez's raffle entry, Robert Fulton Annex was able to welcome Mrs. Adams to the school. Click the title for more information. 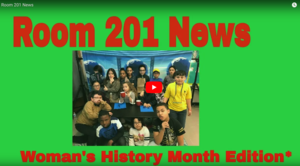 Mrs. Gomez grade 4 JFK news cast. 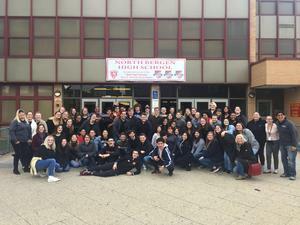 Bartlesville High School from Oklahoma visited the North Bergen HS Advanced Chorus. We sang together, performed for each other and spoke to each other about life in each area of the country. It was a great experience for students and teachers from both schools! 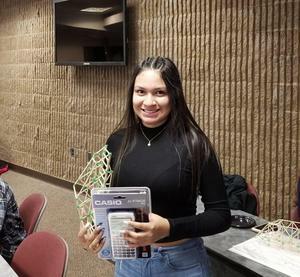 Congratulations to STEM Academy freshman Jennifer Salguero on her bridge competition win at Fairleigh Dickinson's Saturday Engineering program. Her design and build withstood the most pressure to structural weight. 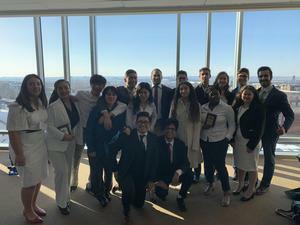 Another NBSA success! Pre-sale tickets are available for $5 and can be purchased at the high school. Any children under seven must be accompanied by an adult. 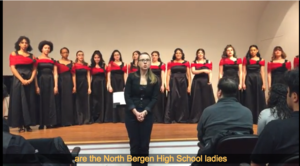 Please contact Mr. Cuervo at pcuervo@northbergen.k12.nj.us for additional questions.